As my time in Malaysia comes to a close, I have spent a lot of time reflecting on the year as a whole. It is hard to believe that my ten-month grant is nearly over. I still remember my initial journey from the United States like it happened yesterday. I guess this is what happens when you take full advantage of opportunities that are presented to you. If you do it right, time seems to speed by. Fulbright was the first time I had spent a significant amount of time abroad. Prior to January, the longest I had been out of the country was two weeks. While I had participated in an off-campus study program at Coe, Chicago and Bachok couldn’t be further apart. I knew right from the start that this was going to be an experience unlike anything that had come before it. This is a unique time to be living in Malaysia. When I first arrived, Kelantan had just been hit with the worst flooding in recorded history a month earlier. Many of my students were impacted by this natural disaster despite the fact that floodwaters did not rise substantially in Bachok itself. This past year has also seen the rise of a horrific Islamic extremist group in Iraq, Syria and other pasts of the Middle East. These terrorists use a radical interpretation of the Qur’an to validate their killing and devastation. Many of my colleagues have expressed frustration that this group is spoiling the world’s view on Islam and those who practice peacefully. In addition, a political scandal involving a substantial amount of money and high-ranking government officials has led to demonstrations and calls for change. And finally, the region as a whole has become the flashpoint for a multinational air quality debate. This has been my background music. Given these circumstances as well as my day-to-day teaching and living realities, I believe that Fulbright has changed me as a person. While I have grown as an educator, the majority of my growth this year has been on a personal level. As an educator, I have learned to refine my language and slow my rate of speech. I also learned how to readjust my expectations of what it means to be a “teacher.” I love communicating. I feel happiest when I am engaged in conversation or writing. This is one of my greatest gifts as an educator as well: I am able to effectively communicate with my students, regardless of their age. 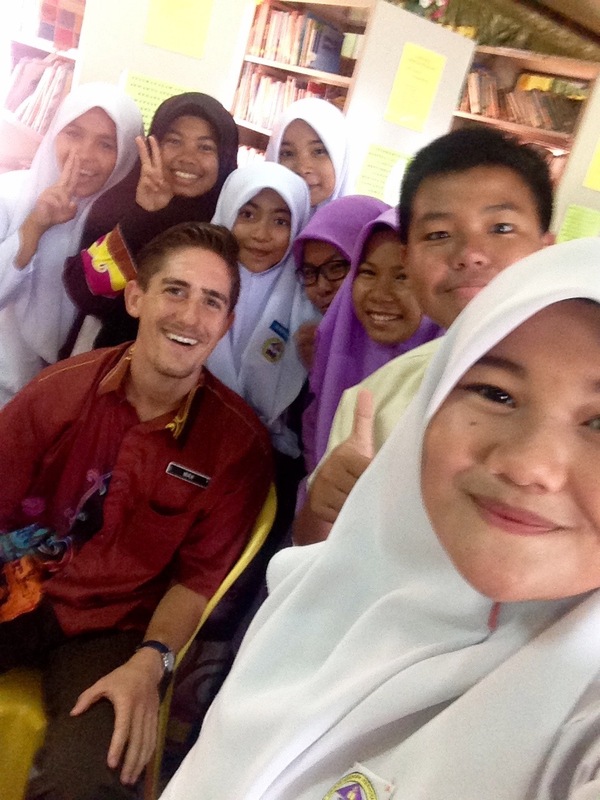 Teaching in Malaysia has helped me to improve my communication skills. While my vocabulary has shrunk, I have gained invaluable knowledge of how to convey directions, expectations, comments and praise to English language learners. It is one thing to work with primary students whose first language is English; it is another thing entirely to work with secondary students who may view English as their second or third language. I learned that, often times, I needed to provide multiple versions of my instructions and expectations to account for my students’ weaker academic English skills. Synonyms and antonyms became my go-to parts of speech and the thesaurus became my favorite teaching tool. 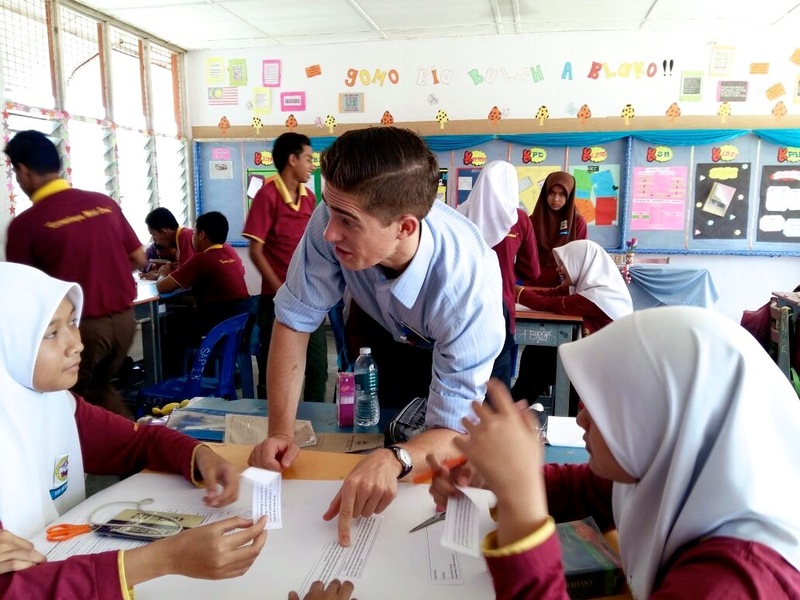 The most important development I made this year as an educator came as I redefined my role as my students’ “teacher.” Having only really worked with primary students up until Fulbright, my pedagogical approach was catered towards a much younger audience. Whenever I work with primary students, I tend to give more than I ever expect to receive. Younger students really struggle expressing themselves emotionally and so oftentimes their gratitude comes from their parents. Secondary students are completely different. Although it took me a very long time to establish strong connections with most of my students, once I did, they opened themselves up to me in ways that no other group of kids ever has (and probably ever will). 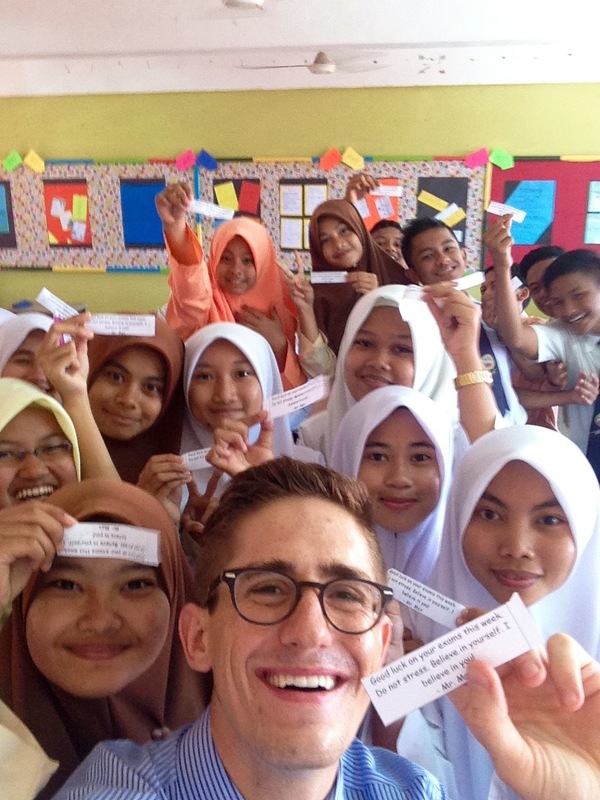 Teaching at SMK Badak has provided me with a new perspective on teaching. I can understand why teachers love working with middle school and high school students: they confide in you. What I learned this year about myself as an educator is how much to open myself up to my students. I value my personal space. I always have and I always will. However, I realized somewhat late in the year that all my students needed to see from me was a bit of personal investment and they were all in. I wrote a blog post mid year describing how my relationships completely transformed once I handed out my hand phone number and encouraged students to message me. After revealing the human side of myself to my students, they were eager to learn more and compare their own stories with mine. As an individual, I have made tremendous strides this year. I have proven to myself that I can not only survive a year abroad, but I can thrive. There is no greater evidence of this than my two-year teaching contract with Newton College in Lima, Peru. If I had never lived in Malaysia, I would have never had the opportunity to continue my career abroad. As much as the day-to-day grind can be tiring and disheartening at times, the overall experience has been the best of my life. If I can make it in Bachok, I can make it anywhere! In addition I believe I have become for confident and assertive as an individual. Working with my colleagues and community members has been challenging. When I first arrived at SMK Badak I was eager to please and so I agreed to participate in and lead activities I may have not wholeheartedly believed in. After months and months of remaining passive, I began to assert myself and began to reap the benefits of my newfound confidence. I learned that it is not always best to agree with others. Sometimes voicing your opinion and sparking conflict ultimately leads to better outcomes. When I accepted my Fulbright grant I had hoped that the experience would be life changing and it certainly has been. While I didn’t necessarily accomplish all of the goals I set out for myself professionally, I made progress elsewhere and discovered parts of me I never knew existed. As is the case with all good things, I do not think I will be able to fully appreciate my time in Bachok and at SMK Badak for a long time, and that is okay. The hardest reality I am wrestling with now is the fact that I will never really know how much of an impact I had on my students. My time at SMK Badak is finite. I knew that coming into this year, and I’ll know that when I leave. Even though I knew that I would develop meaningful relationships with my students, I did not fully realize just how much I have learned to care for my kids are learners and individuals. I want all of them to live happy lives and I expect them to be incredibly successful in whatever they do. But the reality of the situation is that I will never really know. I will leave and lose touch with a lot of my kids. While some will stay in touch, I will never have the same relationships with my kids ever again. And as hard as that will be to accept, it is part of the tragic beauty of teaching. Hi, I’m Liyana and I’m 21 years old. I was finding some data about my old school, SMK bachok ( which is located just a stone throw aways from SMK Badak actually) and came across one of your posts about how you literally connect with your students through whatsapp and selfies. Then I just spent my entire evening today, reading almost all the other entries relating to that subject. I am personally impressed with them and I can relate so much with your entries. When I was in high school, I used to be quite timid and always afraid to speak up my mind. I thought I should keep my mouth shut, and only speak when I have to (probably because our culture really emphasize on ‘adab’ and like you’d said, the students are very shy). 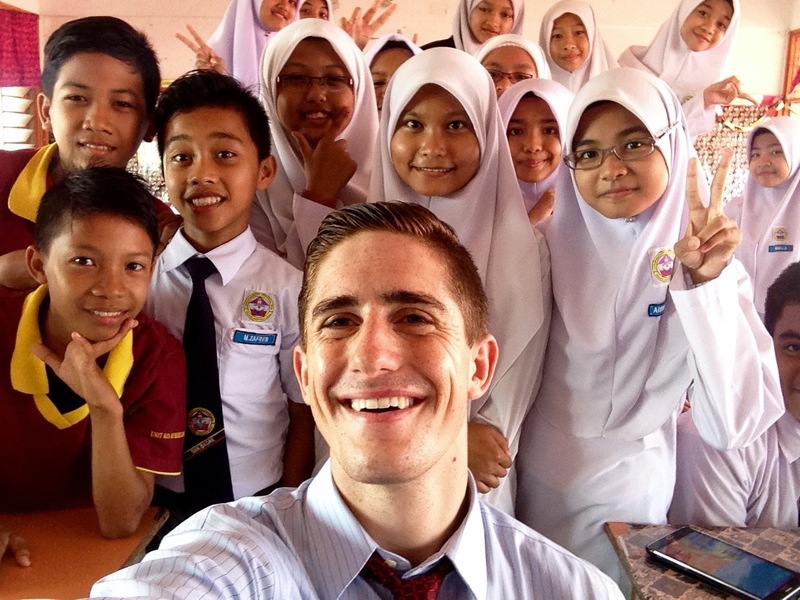 I believe that is the normal case for most of the students in Malaysia especially in kampung areas, however I am impress with the techniques you’d used to tackle your students, to make sure that they opened up and show their real selves. I have to say there are only a handful of teachers who are willing to do that, they are usually the adorable, kind and passionate ones. It’s kind of sad that I just come across your blog today. If only I found it earlier, I would like to have a coffee session with you when I’m home (currently I’m studying at a local university in KL). But as now, I wish you all the best in your teaching career and I hope you keep the hard work, and be an inspiration to all your students. p/s: I’m sure that your SMK Badak students will remember your presence though. Short but meaningful!